Investigate an ongoing peer-led support group intervention to describe participant and facilitator demographics, the intervention, and the community-based sites providing this intervention for gender minorities in Albuquerque, Las Cruces, and Santa Fe, New Mexico. Identify intervention participant and intervention peer-leaders’ perspectives on a) intersectional minority stress; b) outcomes of the intervention; and c) input for developing and delivering online peer-led support groups for gender minorities in New Mexico. Develop a gender minority affirming, intersectional behavioral health outcomes measurement tool by operationalizing qualitative participant-informed outcome descriptions (from Aim 2), to inform future intervention research. Congratulations, Ralph! I know we will hear more about your work as it progresses! Last October, I posted the following message on this blog – and I am posting it again – because we have been having a bit of a problem with the networking emails! We are working on this – so bear with us – we will work it out! If you are on the networking list and have the link to our Kanban view to find others in your region, the link I have sent before still works! Wath for an update coming in the next couple of weeks! And if you are not yet part of the networking group, information about how to join is below! 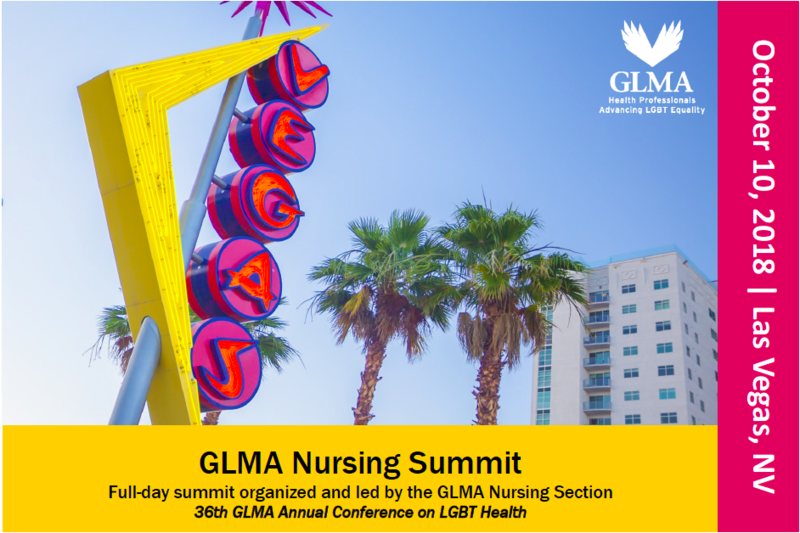 Our wonderful annual GLMA Nursing Summit is like an oasis in the desert for those of us who are able to attend, and the highlight is networking – meeting old and new friends, finding new connections with others who share our interests and passions for LGBTQIA+ health. But what about the other 364 days of the year? 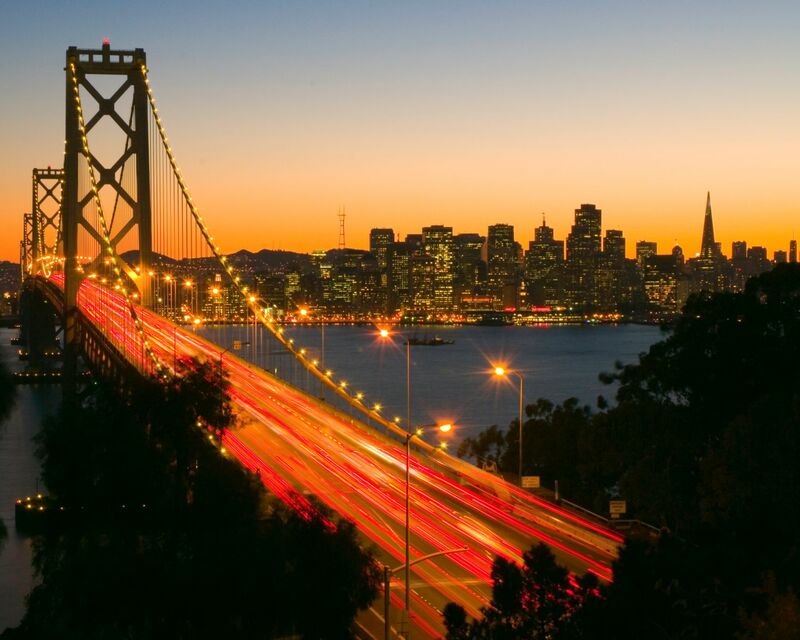 And what about possibilities a little bit closer to home? The GLMA Nursing Section networking group might help! 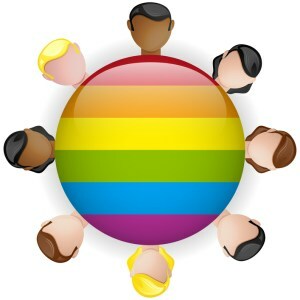 There is nothing complicated about this group – it is simply a database that we can organize by region and showcase everyone in a gallery makes it possible to find and connect with other LGBTQIA+ nurses and allies. The Kanban view is password protected, and you have to have the link to sign in. Once you are part of the group, you will receive an email every few weeks reminding you of he link to the Kanban view, and a reminder of the password (which will change from time to time). So join us! And if you already are in the group, encourage your friends to join us, and check the Kanban view frequently to welcome new networkers! This is huge! The ANA has issued a major position statement advocating for LGBTQ+ populations – you can download it here. 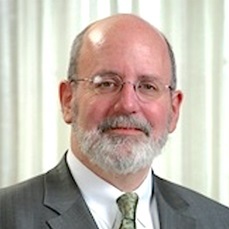 Our own David Keepnews played a major role in crafting this statement – thank you David for your tireless leadership! 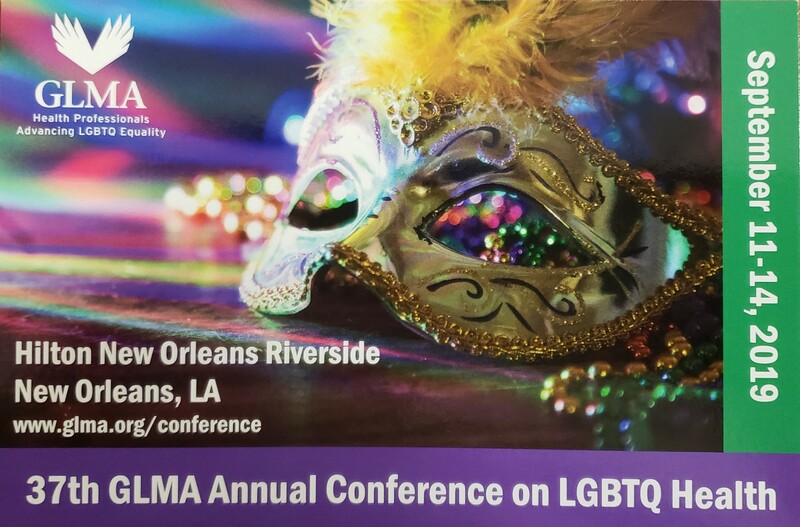 Students – present your LGBTQIA project at the GLMA Nursing Summit! At the Nursing Summit last year, we began what is sure to become a lasting tradition – student pop-up sessions providing a shap-shot of the ground-breaking work that students are accomplishing on behalf of LGBTQIA health! If you are a student in any program and have an LGBTQIA-related project, we want to hear from you! You will have 10 minutes for your “Student Pop-up” during which you can share essential features of your work to a very supportive and enthusiastic audience! To let us know you are interested, please complete our contact form – we will respond to discuss more details! The GLMA Nursing Summit will be held Wednesday, October 10, at the Flamingo Hotel in Las Vegas, Nevada. Here is a pocket card you can share, print or forward far and wide! 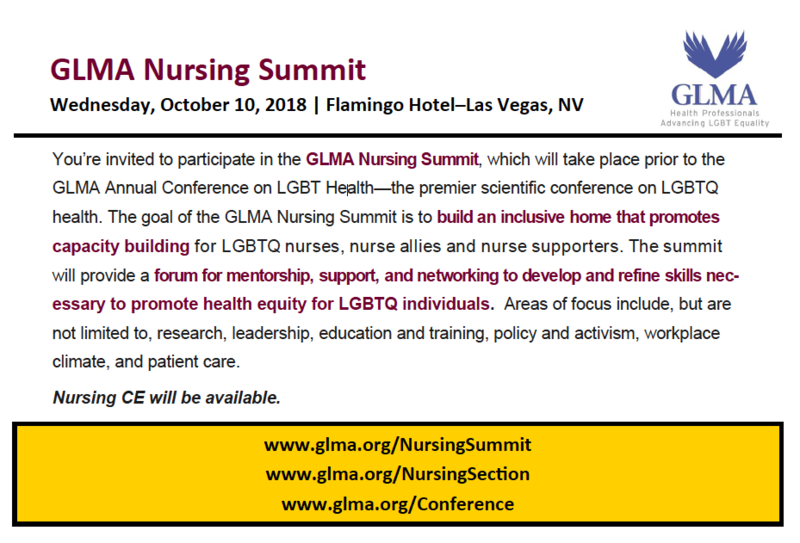 LGBTQ election victories – a new GLMA Nursing resource! Recent U.S. elections (state, regional and local) resulted in a record-breaking number of history-making results – women, people of color, and LGBTQ people winning in unlikely places! Just a few days before these elections hardly anyone would have predicted the kinds of victories that happened, but they happened! 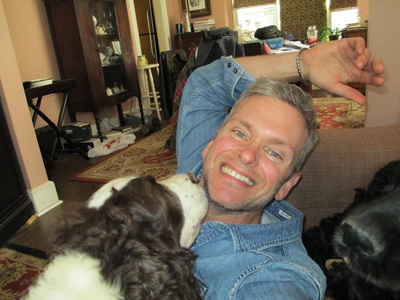 This inspired us to document LGBTQ election victories in places all over the globe, and we started a list, with links to more information about the people in our “Resources” section on the GLMA Nursing website. Check it out! We know it is far from complete – we want to eventually include LGBTQ elected officials already in office at any level – from local school board, to city councils and mayors, to state legislatures. If you know of someone we have not yet listed, please let us know. Virtual Journal Club – Note From the Editor-in-Chief [of the AJPH]: Who Wants to Exclude Older LGBT Persons From Public Health Surveillance? Morabia, A. (2017). Note From the Editor-in-Chief: Who Wants to Exclude Older LGBT Persons From Public Health Surveillance?. American Journal of Public Health 107(6), pp. 844–845. Retrieved September 1, 2017 from http://ajph.aphapublications.org/doi/full/10.2105/AJPH.2017.303851. What are your thoughts on this editorial? Do you feel that it balances concerns around health equity with concerns around methodology and whether the decision-makers understood it? What might you have said/done differently if you were to write a similar opinion piece? Those are just some starter questions. Please don’t let them limit you! Also, please suggest any articles you would like to discuss here. It’s helpful if they’re freely available online, but that’s not an absolute requirement.